The right to shelter is an inalienable basic human right. Providing basic, sufficient and affordable housing for its people, particularly those with a low income, is one of the fundamental duties of the state. 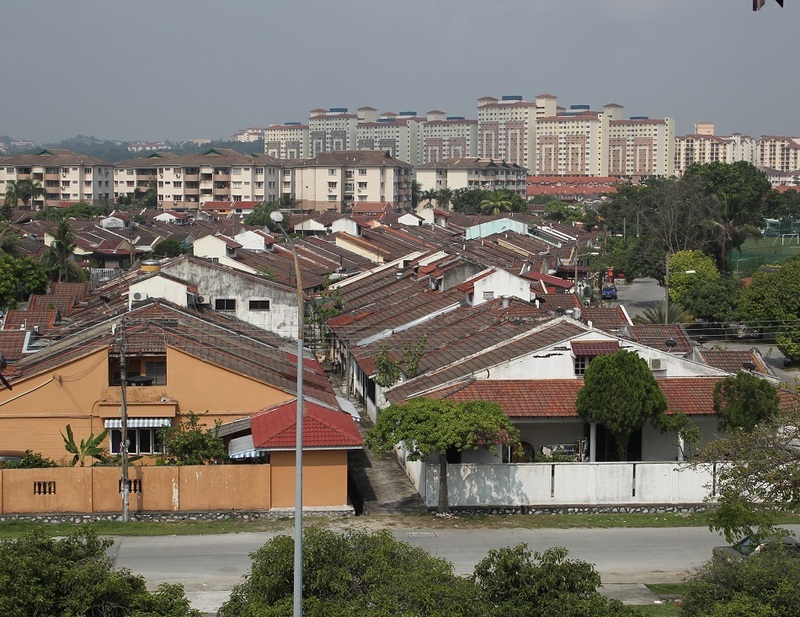 However, if a government-linked research institute’s housing survey is any indication, it has validated the people’s suspicion that home prices in Malaysia have spiralled beyond the reach of common people in recent years. Khazanah Research Institute (KRI), a government-linked research centre, conducted an in-depth survey and published the findings in its 2015 research report titled “Making Housing Affordable”. The report reveals that in Malaysia, the median house price is 4.4 times the median annual household income vis-à-vis an affordable market where the median house price is three times the median household income. The report highlights Kuala Lumpur and Penang as the two “severely unaffordable” markets, with 5.4 times and 5.2 times the median household income respectively. One would have thought that the lower-income group would be the most vulnerable section of society hit by this housing crisis. But, the KRI report also says “gaps are beginning to appear in the system, exemplified by the growing concern of middle-income households who are neither eligible for social housing nor are able to afford private sector-supplied houses”. In other words, today’s housing prices are so high that they are beyond the reach of even the middle-income group, which forms about 40% of the population, while the lower-income group, which forms the other 40% of the population, is facing an acute shortage of social housing. This means that 80% of the country’s population is seriously affected by housing woes. And if urgent policy solutions are not taken to tackle the problem, this staggering 80% housing crisis-stricken population is clearly fertile ground for social and political discontents. To be fair, this elephant in the room is well acknowledged by the government. 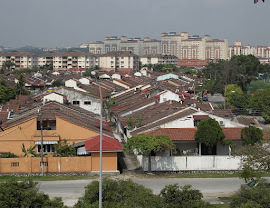 Just recently, Deputy Finance Minister Datuk Othman Aziz expressed his concern over the serious mismatch, given the lack of supply of houses deemed affordable by most Malaysians. He was quoted as saying that only 21% of new housing launches were priced below RM250,000 in 2014 while developers are attracted to build high-end properties priced above RM500,000. The developers obviously disagree with any suggestion, either explicit or implied, that they are to blame for the “seriously unaffordable” housing market. They say a lot of factors have to be taken into account in analysing this problem. For example, they stress the need for a single body that promotes and provides affordable homes, instead of having various agencies and schemes, such as the 1Malaysia People’s Housing programme and Syarikat Perumahan Negara Bhd, and the sometimes rather confusing guidelines and criteria adopted by the various government agencies. Another valid point made by them is that the government should play its role in providing social housing and affordable homes for the people. For instance, when planning for development on government-owned land, the state should consider setting aside 50% of the land for affordable homes, instead of focusing on monetising its land bank. Besides, there is one aspect that developers have been intensely lobbying the government — making property purchase financing more accessible to the buyers again. This financing woe has been the Achilles’ heel of the property market for quite some time now. Hence, reinstating developer interest bearing schemes and relaxing rules for foreign buyers are among the items on their wish list. Apparently, the problem is so serious that the urban wellbeing, housing and local government minister had to chip in with a rather controversial proposal — allow property developers to provide financing to homebuyers. Against this backdrop came the keenly awaited Budget 2017 announcement on Oct 21 where the government proposed various measures to increase access to financing for first-time homebuyers and make housing more accessible to the people. In summary, under Budget 2017, the government is planning for more affordable homes by government-linked companies (GLCs). It also crafted a flexible financial scheme for housing loans and a subsidised housing programme for the B40 (bottom 40% household income) group. However, on closer look at the budget, besides the rather novel plan to build about 10,000 homes in urban areas for rent to eligible youth with permanent jobs, other proposed measures seem to centre on creating a more debt-fuelled property market when our household debt has already reached a record high! Already, there is concern that Malaysians are borrowing too much and not saving enough, based on the latest report by KRI. In its fourth publication of “The State of Households II” released recently, KRI says while household debt growth has been moderating since 2010 (2015: 7.3% year on year), the ratio of household debt to gross domestic product remained high, at 89.1% in 2015 against 87.4% in 2014. And most household debt was undertaken to finance house purchases. Herein lies the danger. With the increased access to financing, homes suddenly look more affordable. But we should always bear in mind that there is no free lunch in a market economy. Buying a house, affordable or otherwise, and being able to afford the monthly instalments are two different matters altogether. Without a reasonable level of real income, a higher housing loan would have to be taken. That means a higher monthly repayment, which many cannot afford over the long run. We, therefore, must never put the cart before the horse by talking about homeownership without first addressing the basic issues of affordability and sustainability — the financial capability of the purchasers to service the instalments throughout the loan duration. Probably, that is why Bank Negara Malaysia, despite enormous pressure from various parties, has consistently insisted that increasing access to financing is not the way to resolve the affordable housing issue. Instead, finding alternatives to homeownership, including a well-functioning rental market, should be one of the policy solutions. The challenges of providing basic, sufficient and affordable housing for the people require a holistic and long-term solution and never a knee-jerk reaction. For any piecemeal and short-sighted prescription not only can increase risks in the housing market but can also have far-reaching consequences for our country’s financial and political stability. After all, if there is one lesson to be learnt from the 2007/08 global financial crisis, which had its origins in subprime mortgage lending, it would be this: A homeownership campaign can only be sustainable if it is anchored on real income, gainful employment and thriving businesses, and never an easy credit-fuelled housing bubble.